Sacred 3 comes out roughly five years after Sacred 2 and tries to win gamers over using a simplified approach to the gameplay style used in the likes of Diablo as well as the previous Sacred games. The result is a game that feels slightly out of touch with its own background, looking for a new audience to entertain. 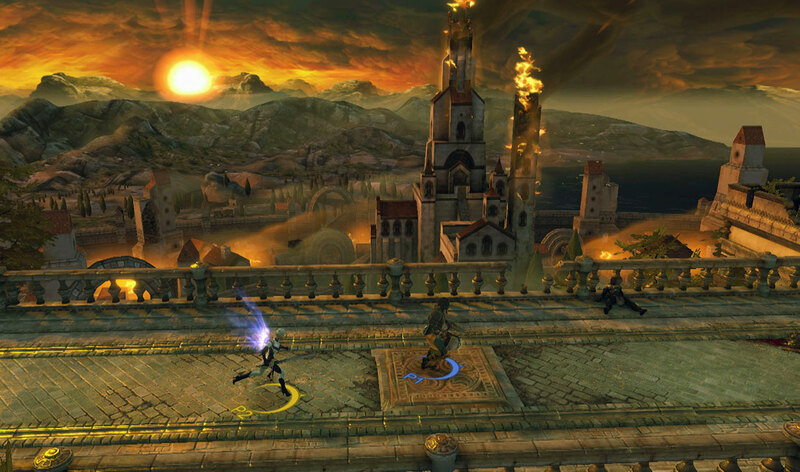 The shift in gameplay style that the Sacred franchise underwent can perhaps be traced back to its development. The first two titles in the series were developed by the now-defunct Ascaron team, and development rights for Sacred 3 went to Keen Games after the license was picked up by Deep Silver. When Sacred Citadel came out last year as a side-scrolling hack ‘n slash Sacred spinoff in the Golden Axe tradition, it was the first sign that Deep Silver was steering the franchise in a different direction. A little over a year later we now have a ‘proper’ sequel in Sacred 3, with a thin storyline centering on the “heart of Ancaria”, a magical item with immense power that (in the wrong hands) could destroy the world. Zane Ashen, leader of the Ashen empire and our main bad guy, is after this artifact so he can use it to dominate the world. It’s up to a small band of heroes to prevent this from happening – cue the start of Sacred 3. The plot is thin, but you’ll soon find out that this matches the gameplay. From a classic, isometric, perspective, your band of heroes will traverse the land as you plough through wave after wave of enemies while collecting loot along the way. Loot collecting isn’t nearly as deep as in Diablo 3 or other games in the genre, since the only things to collect are life and magic potions and gold. New items are then acquired in between levels in a shop/upgrade system. The more gold you collect, the more you’ll be able to buy – but this does take some of the excitement out of the in-game loot system. Sacred 3’s story progression is much more linear than you might expect if you’ve played the previous games. Instead of an open world that you can explore in order to find new (optional) quests, you select the next story mission from the main map as you move towards your goals. Side quests are available, but these are also selected using the main map. No matter what mission you select though, you’ll be playing using an easy to understand combat system. It may lack the depth that other RPGs offer, but if your main interest is in the action and hack ‘n slash parts of the genre then you’ll feel right at home here. 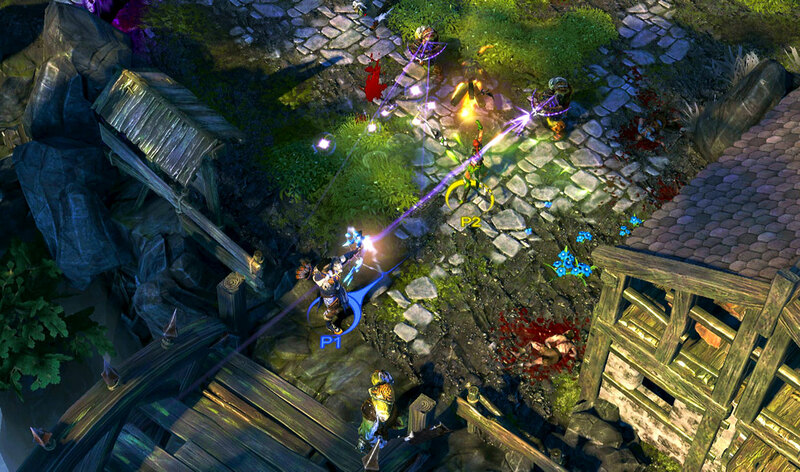 Despite some of its shortcomings, there is also quite a lot that Sacred 3 does very well. Its cast of main characters is small, but diverse. The range in terms of enemy diversity is impressive, and that can also be said for the backdrops and locations that you visit. So where the core gameplay dynamics fall short, the game makes up for it in terms of diversity. Another nice feature is that the game features drop in/drop out multiplayer functionality so you can play the game in coop mode – both online and offline. This brings an almost arcade-like quality to the game, and it’s a game mode that’s fun to play as well. Fans of the original Sacred games expecting an improved version might be disappointed with Sacred 3, and it’s not going to sway Diablo 3 players either. Still, there is fun to be had if you’re looking for an accessible hack ‘n slash adventure that supports coop with a friend.